Our range of hot boxes are available for both long term and short term hire. 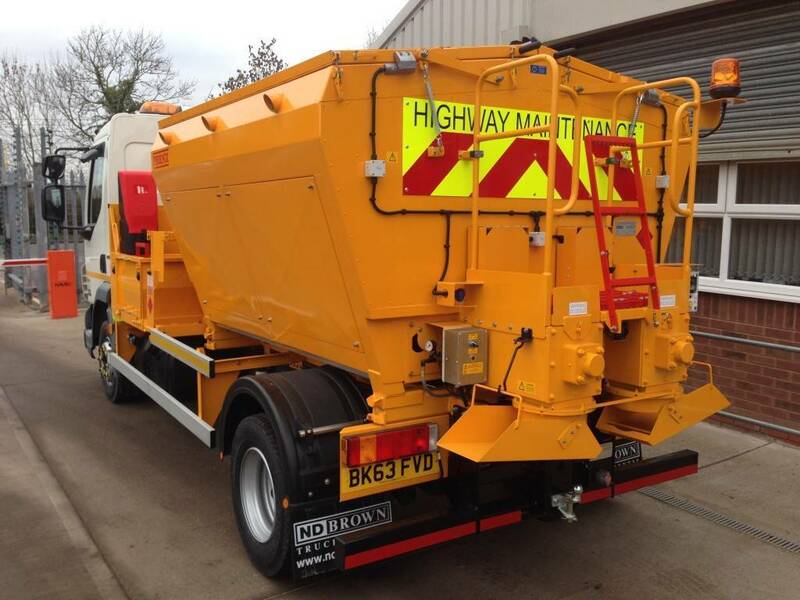 Our hot box hire is suitable for road repair vehicles. With a range of capacities of asphalt containers to suit different truck sizes, there is sure to be a hot box at ND Brown to suit your needs. Our hot box hire is suitable both for fitting a hot box to a chassis or for mounting on a new truck. At ND Brown our hire division operates a fleet of over 450 vehicles from our depots which are strategically placed throughout the UK which makes offering a nationwide service a lot easier. Wherever you may in the UK, with ND Brown we will be able to provide you with a hot box vehicle. Our hot boxes are highly durable and of the highest quality, at ND Brown we pride ourselves on our top class customer services which is why all of our vehicles are to the highest quality and reliable. Our hot boxes can be used for a range of purposes, especially road repair. At ND Brown we have a wide range of hot box vehicles to choose from and our dedicated team will work with you to ensure that you choose the right vehicle for you and you industry. We are always willing to help and any enquiries you might have about our hot box range- please get in touch. We provide quality asphalt hot box units for hire. A hot box can be used for storing, hauling and dispensing hot asphalt. The highly insulated hot box allows you to heat any new or old asphalt products. The temperature of the hot box is controlled by a thermostat, ensuring that our hot box hire is especially ideal for winter repairs, allowing a year-round service. For more details of our hot box hire services, please contact us on 01902 791991.